For organizations across all industries, the IT options can be endless. Given limited budgets, diverse business requirements, a daunting array of IT solutions and seemingly endless security concerns, how do organizations prioritize? 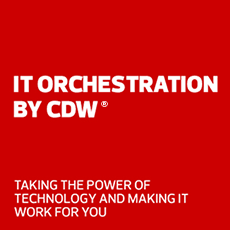 To answer that question, CDW surveyed 800 IT decision makers across eight industries – and found that only a little more than half had clearly defined priorities. Many organizations struggle with how to best allocate IT budgets to minimize security risks, maximize results, improve the customer experience and prepare for the future, the survey found.